This essay is the second installment in an ongoing series of commissioned articles for the H-Net Book Channel that aim to help instructors incorporate new research into their classrooms. Margaret Weber is a doctoral candidate in History at Iowa State University, specializing in the development of American agribusiness in the postwar period (1945-1970). She has published book reviews and has an article forthcoming in Agricultural History. She will defend her dissertation, entitled "The American Way of Farming: Agriculture, Agribusiness, and Myth in the Twentieth Century," in Spring 2018. Whenever I tell people that I am a rural historian, most stare blankly back at me. More than one student has adopted a zombie-like air, with glazed eyes and a vacant expression usually reserved for the most boring of subjects. My next question—“what does it mean to be rural?”—is usually met with the black hole of silence instructors so dread. This reaction is predictable, primarily because of modern America’s own disconnect with rurality. Despite enjoying a bounty of cheap food and fiber, most of us deal with rural life only in the most tangential of ways. Americans, including many instructors, are essentially caged in by their own assumptions, unable to connect with or grasp the wider importance of rural spaces in the nation’s narrative. After all, only 20 percent of Americans today live in rural spaces. Whereas over 40 percent of Americans engaged in agricultural production in 1900, a mere 2 percent do so in 2017. When American popular culture depicts rurality, the result is more likely to be dueling stereotypes than anything of real substance. Sometimes people will wax nostalgic about a nonexistent idyllic rural past. Others are more content to peddle clichés of ignorant and inbred hicks. But the reality of rural life and its past is far more complex and engaging than these tropes could ever convey. Perhaps no other aspect of American society has undergone such a dramatic transformation and yet received so little attention in the halls of America’s universities. Despite revolutionary changes to rural communities since the Civil War, most of American rural history has been confined to a few well-trodden topics (e.g., Populism) or ignored completely. This is partly due to the fact that ruralness itself is difficult to define. Does rurality merely boil down to population numbers? Or must it be associated with the more traditional professions of farming, hunting, herding, lumbering, or mining? Maybe rural America’s association with specific regions has limited American understanding? Or perhaps cultural assumptions about who embodies the rural (white, cis-gendered, traditional men) have left further exploration daunting? This and other ambiguities have limited the incorporation of rural history in the classroom. Luckily, recent works within the field offer opportunities to reintroduce this history to students. Books covering issues of globalization, gender and sexual identity, state control and resistance, racial justice, perceptions of food and environment, and many other topics have enriched the recent historiography of rural America. Easily one of the most prominent themes explored in this historiography is the transformation of agriculture within the global political economy. Agriculture has always been a transnational enterprise. However, interaction between different ecologies, foods, and ideas accelerated in the twentieth century, intertwining peoples and places across vastly different environments. 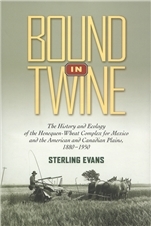 One of the best examples of this phenomenon is explored in Sterling Evans’s Bound in Twine: The History and Ecology of the Henequen-Wheat Complex for Mexico and the American and Canadian Plains, 1880-1950 (2013). Recounting the history of binder twine, Evans traces the emerging dual dependency (“a henequen-wheat complex”) between Mexico, the United States, and Canada. By demonstrating these environmental and economic connections, the book shows students the concrete causes and effects of globalization. In a similar vein, Edward Dallam Melillo’s Strangers on Familiar Soil: Rediscovering the Chile-California Connection (2015) determines how parallel environmental conditions in Chile and California created deep cultural and agricultural connections between these distant regions. Melillo’s book can challenge students to rethink their assumptions about borderlands and how those boundaries do not necessarily have to be physically connected to shape environmental systems. For example, his discussion of nitrate, a chemical mined in Chile and used in California’s agriculture, displays how the desire for this commodity influenced labor structures in both places. Studying the environmental links between the United States and Mexico, Tore C. Olsson’s Agrarian Crossings: Reformers and the Remaking of the US and Mexican Countryside (2017) discusses how institutional efforts to reshape the US and Mexican countryside in the early twentieth century had wider consequences for North America’s agricultural development. All of these works showcase the critical role agriculture played in the development of global relations in the Western Hemisphere. Professors interested in demonstrating the interplay between the environment and the growth of capitalism or in discussing diplomatic forces on a transnational level will find rural history to be a strong resource. Other scholars from a variety of directions have also shown how actions in rural spaces have widespread consequences for the rest of the nation. 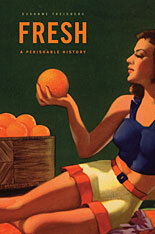 Susanne Freidberg’s Fresh: A Perishable History (2010) outlines the conception of “freshness” in society, showing how different ideas of health, food, and technology, along with a growing conceptual divide between urban and rural, fundamentally changed the way people viewed food production and consumption. Freidberg’s book is an excellent example of how rural and urban societies interact and influence the social perception of food and health. Its emphasis on changing cultural conceptions of freshness can demonstrate how fluid culture and society actually are and how technology influences changing cultural ideas. While Fresh centers on food, other recent works emphasize the wider political ramifications of rural political agency on the rest of the nation. Charles Postel’s The Populist Vision (2007) challenges the dominant narrative of the American Populist movement. Instead of describing Populists as reactionaries angered by a changing economic system, Postel argues that this group envisioned a reformed society that met the needs of everyone. His chronicle of this thoroughly modern group of progressives is a tool for teaching new perspectives on old subjects. Finally, Shane Hamilton, in his various works on food, policy, and politics, also underscores how rural people influenced America’s political and economic development since the Second World War. His book Trucking Country: The Road to America’s Wal-Mart Economy (2008), which connects the advent of free-market conservatism with the development of the rural trucking industry, provides another opportunity to study the rise of new conservative ideology and the culture wars it sparked during the 1980s and 1990s. Hamilton’s monograph can help history instructors present a more complex view of emerging political rhetoric in the twentieth century by demonstrating how political movements can originate from popular unrest among overlooked groups of people. Each of these scholars shows how growing socioeconomic pressure on rural communities influenced American consumerism and politics in the twentieth century. They also invite classroom discussion on historical agency and the role all Americans play in changing the nation. The study of twentieth-century history is known for its greater focus on identity and societal interactions on cultural, ideological, and social levels. Historians have recognized complexity in the bonds between peoples, giving voice to those once deemed unimportant and exploring the diverging methods of various social movements. Yet many scholars fail to extend this understanding of historical intricacy and social change to rural America, lingering in what scholar Colin Johnson calls the “metro-normative gaze.” That is why books that challenge this oversight are so valuable for rural history in the twentieth century and should be further incorporated in our classrooms. The study of rural identity and place has been one of the most vibrant areas of research in the last decade, with books complicating America’s oversimplified perception of the countryside. Jenny Barker Devine’s On Behalf of the Family Farm: Iowa Farm Women’s Activism since 1945 (2013) considers the action and ideology of rural women in postwar America within a feminist framework. This challenges students’ basic assumptions about the urban origins of social movements in the mid-twentieth century while also complicating the picture of American feminism. Colin R. Johnson’s Just Queer Folks: Gender and Sexuality in Rural America (2013) examines gender nonconformity and sexuality in early twentieth-century rural America. Both Johnson’s book and Gabriel N. Rosenberg’s The 4-H Harvest: Sexuality and the State in Rural America (2015) discuss how the state attempted to impose rigid conceptions of heteronormativity on rural spaces. By exposing students to queerness in rural America, these histories reveal a surprisingly complicated version of rural spaces and the ways in which urban outreach has stifled, rather than enlightened, the countryside. Along with gender and sexuality, other scholars have used the lenses of race, class, ethnicity, borderlands, and migration to investigate rural divisions of labor and life. Both of Cindy Hahamovitch’s books (The Fruits of Their Labor: Atlantic Coast Farmworkers and the Making of Migrant Poverty, 1870-1945  and the more recent No Man’s Land: Jamaican Guestworkers in America and the Global History of Deportable Labor ) explore the interactions of agricultural institutions, migrant labor, oppression, and power. Each book also sheds light on the hidden costs of America’s modern foodways, asking readers to examine their own role in food production and consumption. These socioeconomic costs, both on the human actors and wider labor networks, are also a major theme in Greta de Jong’s You Can’t Eat Freedom: Southerners and Social Justice after the Civil Rights Movement (2016), which traces the connections between black labor displacement and social activism in the South in the postwar period. Both Hahamovitch and de Jong expose how changes in rural spaces shaped the global political economy and sociocultural experiences of all of those involved. Each one of these works adds much-needed nuance to our conceptions of rurality. They all demonstrate a level of complexity of “the rural” that can challenge urban and even rural students to think beyond their basic assumptions and experiences. All offer revisions to a historical narrative that places agency solely in the hands of urban peoples. Ultimately, this scholarship can reemphasize to students one aspect of the most transformative change of the twentieth century: the transition from traditional agrarianism to a highly industrial and capitalistic food and fiber system. On the surface, the rural ideal looks simple: white, male, robustly independent, and virtuous in the vein of the Jeffersonian tradition. This is the image that is often presented to me when I ask my students to describe what a rural person looks like, in spite of the fact they themselves are a diverse group of people who often come from a diverse range of rural spaces. Yet this suggestion of homogeneity is a false image. It is true that rural people live in sparsely populated areas and are often involved in the production of commodities, but their other shared characteristics are much more difficult to identify. Such factors as cultural values, community configuration, and the organization of the political economy (not to mention other local features) make finding commonalities across rural people and communities extremely difficult. What makes the study of rural identity so interesting is the process of understanding why we have such a simplistic view of rural life and pulling back the layers of this misperception for students to see. My own students’ understanding from the first time I ask about rurality to the last exhibits a noticeable increase in critical thinking and an understanding of history. So, to instructors who wish to broaden the scope of their American history classroom I say: go cage free. What you can explore in an urban setting you can also do in rural areas; what you teach about labor, gender, politics, culture, and environmental history, you can teach about rural history. The history of rural spaces is not just a parallel to events taking place in urban areas. Instead, it is an essential component of understanding our interconnected past and adding to our future. Anderson, J. L. Industrializing the Corn Belt: Agriculture, Technology, and Environment, 1945-1972. Dekalb: Northern Illinois University Press, 2009. Cronon, William. Nature’s Metropolis: Chicago and the Great West. New York: W. W. Norton, 1992. Cunfer, Geoff. On the Great Plains: Agriculture and Environment. College Station: Texas A&M University Press, 2005. Danbom, David B. Born in the Country: A History of Rural America. 2nd ed. Baltimore, MD: John Hopkins University Press, 2006. Finlay, Mark. Growing American Rubber: Strategic Plants and the Politics of National Security. New Brunswick, NJ: Rutgers University Press, 2009. Fitzgerald, Deborah. Every Farm a Factory: The Industrial Ideal in American Agriculture. New Haven, CT: Yale University Press, 2010. Gilbert, Jess. Planning Democracy: Agrarian Intellectuals and the Intended New Deal. New Haven, CT: Yale University Press, 2015. Osterud, Grey. Putting the Barn before the House: Women and Family Farming in Early Twentieth-Century New York. Ithaca, NY: Cornell University Press, 2012. Petty, Adrienne. Standing Their Ground: Small Farmers in North Carolina since the Civil War. Oxford: Oxford University Press, 2013. Riney-Kehrberg, Pamela, ed. The Routledge History of Rural America. New York: Routledge, 2016. White, Richard. Railroaded: The Transcontinentals and the Making of Modern America. New York: W. W. Norton, 2011. Editorial Note: For more on incorporating Rural American History in the classroom, readers may be interested in a Rural History Syllabus available in the Teaching Resources of the H-Rural Network. The H-Net Book Channel would like to thank the editors of H-Rural for promoting this essay to their readership.